A modern style with one’s own hair arranged. The first “wedding costume fitting event with the traditional Japanese wig and modern hair arrange” in 2017 will be held soon. 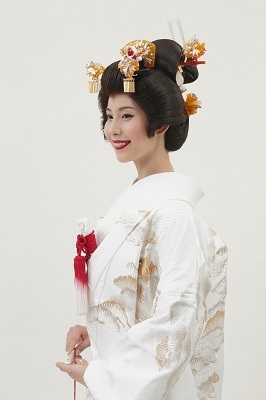 You can try real “shiromuku (all white wedding kimono)” and “iro-uchikake (multicolored wedding kimono)” along with the traditional Japanese wig or have your hair arranged in modern style. It has been popular event since we had started it. Please come and try. Don’t miss the chance. 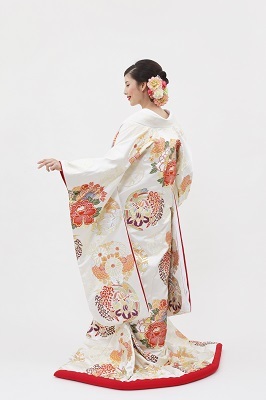 For the detail, please feel free to call 81-75-351-6611 (LST Wedding Kyoto).